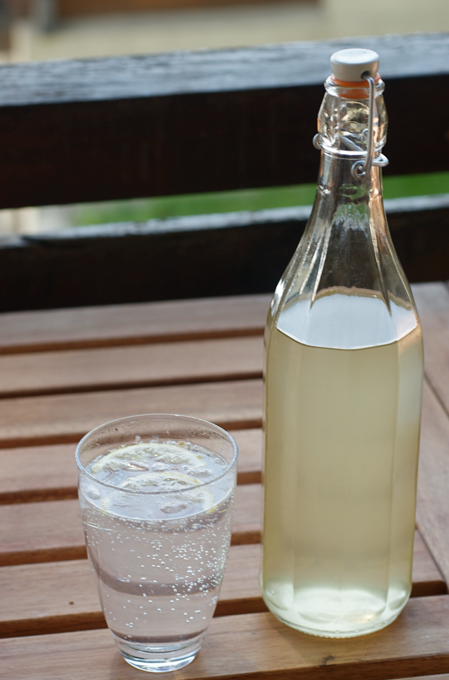 To me, Elderflower Cordial is as reminiscent of English summer as Pimms, Strawberries and Cream or Wimbledon. 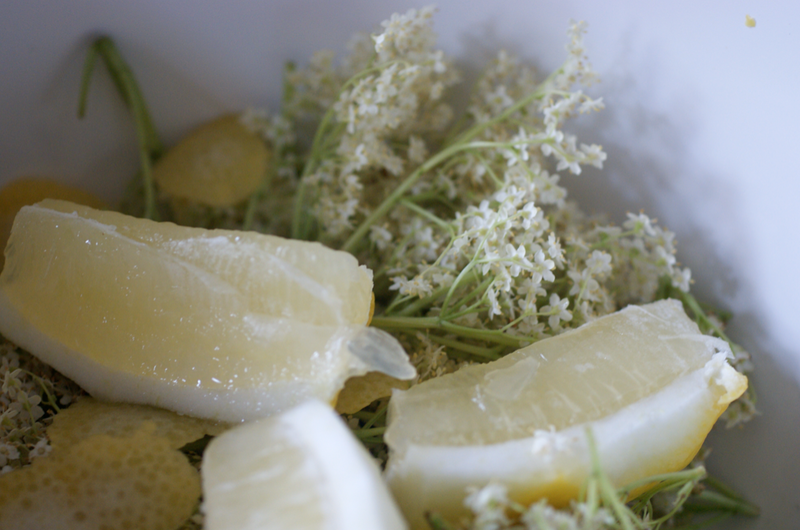 I first made Elderflower Cordial with my Brownies group (see Irish Tea Bread) when I was about eight. I don't remember the specifics, but I remember walking down the little pathway near the village hall where we met and it being full of trees laden with the glorious clusters of blossoms. The other day as we were heading down the valley to investigate a new supermarket that had opened, we spotted a series of big bushes heavy with flowers by the riverside. They were also quite far off the road, which is important - you don't want Exhaust Fume Cordial. On the way back, we pulled over and started picking. As they were on the riverbank, I had to hold mum by her waist as she leant in off the bank to pick them. We had a few incidents where we started laughing so much we almost lost balance. Unfortunately I didn't have a camera with me, so I don't have any pictures. We filled my pink cardigan with blooms and set off home. 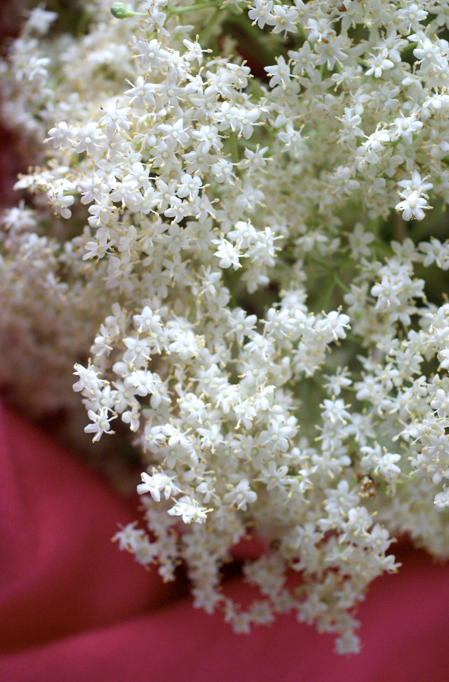 As a child, my mum was told that when you make Elderflower Cordial (or champagne) you should only pick blooms that are in the full sunlight. I'm not sure if there's any reason for this, but we stuck to it anyway. When we got back, I realised we didn't have any citric acid, so had to pop up to the pharmacy to get some - most pharmacies should be able to sell you some, or a wine making shop. It's important that the syrup isn't boiling as you pour it over the flowers, as it can scorch them. I'm so pleased we made some - it's much better than shop bought (and I don't know that I've seen it here). 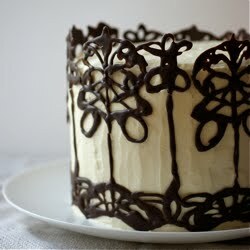 It's such a delicate and wonderful flavour and doesn't take much work at all. 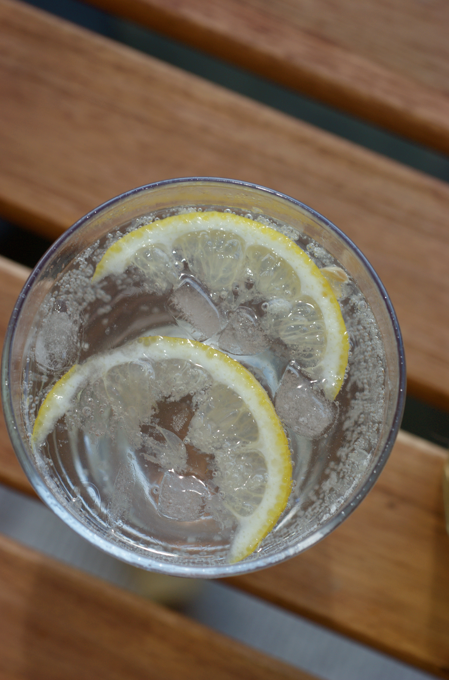 My favourite way to drink Elderflower Cordial is with sparkling water that has been chilling in the fridge (Pellegrino is the best as far as I'm concerned, but that might just be brand loyalty on my part!). Sometimes a bit of ice or a slice or two of lemon is nice too. Put the sugar and water into a saucepan and heat until all the sugar is dissolved. Take off the heat and stir in the citric acid. 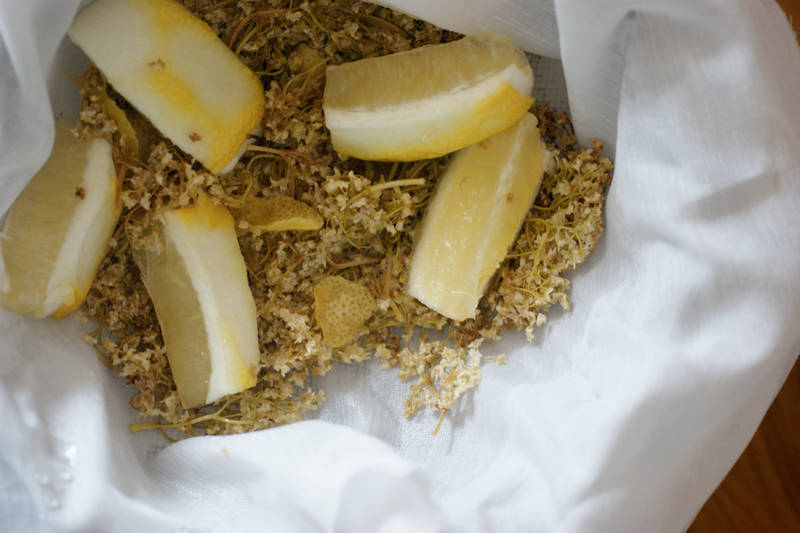 While it cools, shake the elderflower heads gently to remove bugs/any other debris. Put them in a large bowl. Take strips of rind off the lemon and put them in too, followed by the lemon itself, cut into chunks. When the sugar syrup has cooled to warm, pour over the flowers and lemons. Stir, then cover with a tea towel and leave overnight (I stirred mine a few times). The next day, get another big bowl and line a sieve with a piece of muslin (or similar) over the top. Pour the contents of the bowl into it, making sure it doesn't overflow. 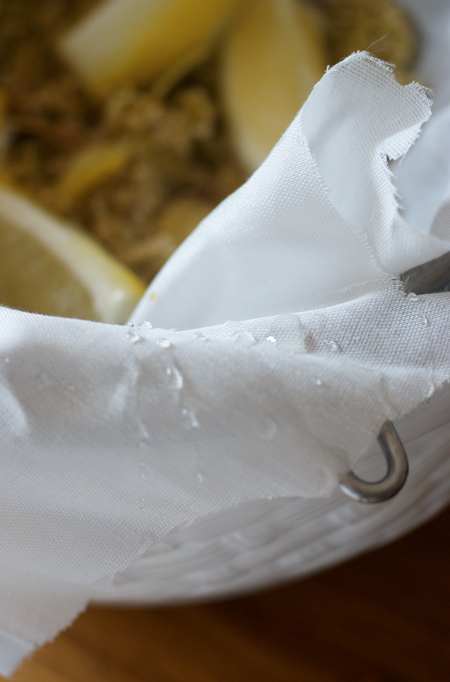 Stir it around a bit to let the last bits through, then pull together the muslin and gently squeeze. Throw away the contents. 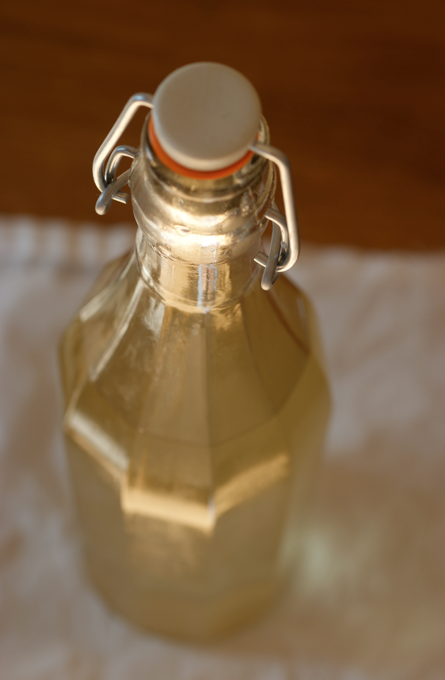 Funnel into a sterilized bottle or container and keep in the fridge. It also freezes very well in plastic bottles or boxes. I can almost see your Mum's toe prints at the edge of the bank, hanging on for dear life lol. 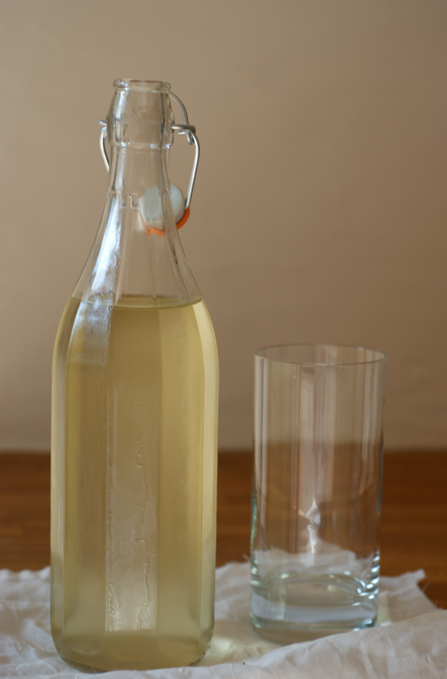 I wish I had some elderflowers near me to pick - I'd love to have a go at making some cordial like this. YUM that looks so good i think i should go and make some with my mum !! !